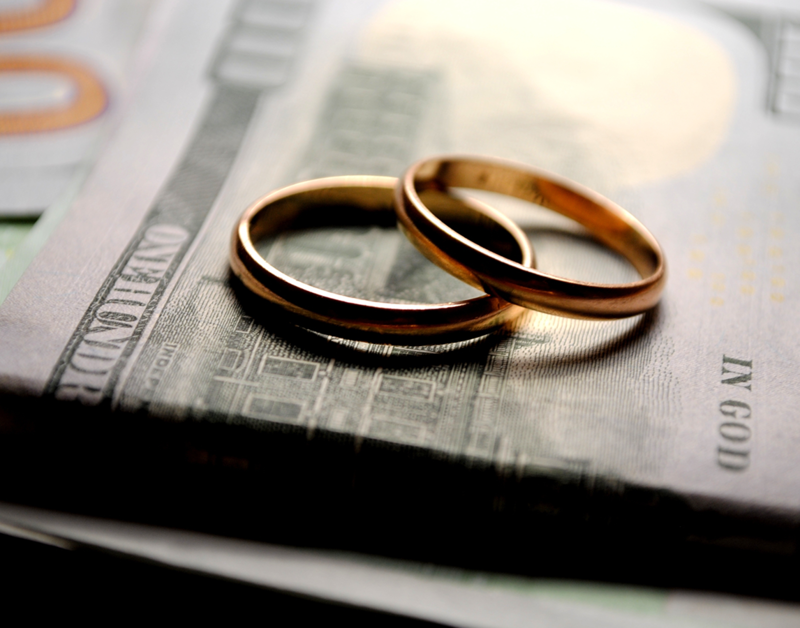 Pittsburgh Spousal Support Lawyers | Lisa Marie Vari & Associates, P.C. Spousal support. Support paid to a financially dependent spouse after the spouses have separated and before a PA Divorce Complaint is filed with the Pennsylvania family courts. Whether or not you were at fault for the divorce may impact your ability to receive spousal support. The person paying support has a right to raise an entitlement defense if you were at fault in causing the break-up of the marriage. Alimony pendente lite (also called APL). Support paid to a financially dependent spouse after the Divorce Complaint has been filed with the family courts. This type of support may be payable until the Divorce Decree is entered and all financial issues involving equitable distribution are resolved by the parties or through court action. The purpose of APL is to permit both spouses to be able to support themselves and have the ability to hire an attorney of their choosing while the divorce action is pending. As such, the payor spouse cannot raise the entitlement defenses available in spousal support actions. In other words, even if the spouse seeking APL has committed a fault-based ground for divorce such as adultery or has abandoned the marriage without a just cause, that spouse may be entitled to APL payments. Alimony. Support paid to a financially dependent spouse after the PA Divorce Decree is finalized and all financial issues involving equitable distribution have been resolved through court action or agreement. After taking into consideration the parties’ income and the assets each was awarded as part of the PA equitable distribution order, the court will award alimony only to a spouse that cannot meet their reasonable financial needs when the other spouse has the ability to meet their own reasonable needs and assist the financially dependent spouse. Some situations in which alimony is awarded include those situations when the spouses have a great disparity in income, when the parties had a long-term marriage, when one spouse suffers from a mental or physical disability, or when one spouse primarily cares for minor children who are not yet of school age. Spouses who have committed an act that would be considered a fault-based ground for divorce, may be denied alimony. Rehabilitative Alimony. Alimony payments may be awarded to a financially dependent former spouse when that former spouse requires a specific amount of time to “rehabilitate” himself or herself through education or otherwise. Permanent Alimony. Alimony payments that are made to a financially dependent former spouse for the rest of the former spouse’s lifetime. Reimbursement Alimony. Reimbursement alimony is alimony awarded to a former spouse to reimburse them for expenses they incurred for the benefit of the other spouse such as when one spouse pays for the majority of marital debt or when one spouse supported the family while the other pursued an education. In Pennsylvania, alimony, except reimbursement alimony, is usually terminated, unless the order or agreement provides other terminating conditions, when the recipient spouse begins residing with another person in a marriage-like relationship or when the recipient spouse remarries or dies. Rehabilitative alimony may be established for a term of years or based upon some other terminating factor such as the completion of a college education. In calculating all forms of support payable to a spouse, consideration must first be given to whether the defendant in the support action has any orders for child support and the amount owed on each and whether there are any orders for support of a previous spouse. After consideration of the other orders, spousal support and alimony pendente lite are generally based upon a fixed percentage of the differences in the net incomes or earning capacities of the spouses. The court will also consider certain factors to determine if a deviation is warranted from the standard calculation. One of these factors includes the duration of the marriage from the date of marriage to the date of final separation. Other factors include the relative assets and liabilities of the parties and the standard of living of the parties and their children. In determining the amount of alimony to be awarded, fixed percentages of the differences of incomes or earning capacities are not utilized. Instead, the court will consider the reasonable needs of the dependant spouse and the payor spouse and the amount of money needed to supplement the dependant spouse’s income or earning capacity to meet those reasonable needs. Our Pittsburgh spousal support lawyers have represented over 1500 family law clients including many clients with PA spousal support, APL, and alimony issues. If you are the plaintiff or defendant in a spousal support, APL or alimony case, call our Allegheny County spousal support lawyers in Pittsburgh at 412-281-9906, our Washington County spousal support lawyers in Southpointe (Canonsburg) at 724-436-5500, our Butler County spousal support lawyers in Cranberry Township at 724-776-9906 our Clearfield County spousal support lawyers at 814-290-0587 or toll-free at 1-844-827-4529 (1-844-VARI-LAW). Our Western PA family law office routinely accepts spousal support cases in Allegheny County, Beaver County, Berks County, Butler County, Clearfield County, Lawrence County, Mercer County, Washington County, and Westmoreland County. Our Pittsburgh alimony attorneys accept support cases in other PA counties such as Armstrong County, Erie County, Fayette County, Greene County, Somerset County and Venango County on a case-by-case basis.